All is not well at IOL Netcom Ltd, an IPTV and Internet services company based in Mumbai. An ex-employee of the company complained that his salary has remained unpaid since June 2009. He reveals further that a lot more employees have not been paid their dues since January 2009. Several have left the company due to non-receipt of salaries. A detailed search at consumer complaints forum website www.consumercomplaints.in) threw up a whole list of similar complaints from disgruntled employees. They claim that the company has no funds to make the salary payments and that the figures mentioned in the company balance sheet are made up. The company balance sheet shows that the salaries are being paid. The company is also reporting profits for the June quarter, when employees are claiming that it is absolutely cash crunched. The company had reported losses for the past two years. In FY08 its net loss stood at Rs25.57 crore while in FY09 it suffered loss of Rs14.05 crore. The ex-employee also alleges that the company president, Siddhartha Srivastava, is turning a blind eye to the grievances of the employees. When Moneylife contacted a senior official at IOL Netcom, he said the salaries had remained pending merely due to factors related to recession. He said, "There is nothing much to it. Given the recession, many companies were facing a tough time and we are also passing through that phase. On an overall basis, we are getting into a strategic investment mode where a few weeks from now a strategic investor is taking over. Nobody would have invested if they had no confidence in the company. Everything will work out pretty soon." What is IOL Netcom and why are its problems newsworthy? It is the same controversial company that made news as owners of a 1% stake in Reliance Infocomm when it was part of Mukesh Ambani's empire. A certain Ashish Deora, a partner of the late Pramod Mahajan's relatives in the same company (then known as IOL Broadband), was under investigation in 2002 after being allotted one crore shares of Reliance Infocomm at a nominal one rupee per share. This was allegedly a quid pro quo for various permissions granted to the company to launch a Wireless in Local Loop (WLL) service, without paying the appropriate fees. However, the said shares were cancelled on the claim that he had not completed the work, but IOL walked away with the expensive fibre optic network that was laid in Mumbai and Delhi. The company website is apparently in shambles and has been down for quite a while, showing signs of abandonment. The company's services too are fraught with issues. One particular complaint talks of low quality service with connectivity issues and server breakdowns. Notwithstanding the strategic investor claims, the company seems to be in a very bad shape. 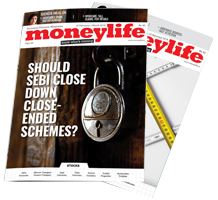 Moneylife: KEC International is one of the largest engineering, procurement and construction (EPC) companies. What are its key strengths? Ramesh Chandak: One thing that we are proud of is our culture that focuses on a few things which we think are unique to us and which others may not be able to copy quickly. Also in KEC we are focussed on time-bound delivery. We usually work on orders received through tenders where cost factor is not re-negotiated, so ultimately we have to deliver within the stipulated time. Power transmission, our core activity, is an important link between generation and distribution and so we always have to be ahead of these two linkages. I think this definitely is the uniqueness of our business as any delay from our part can affect the project and we cannot afford this. KEC’s strength is also to work across geographies in diverse conditions. We are present in 40 countries. Our ability, developed over years, to deal with local conditions, language, customs, rules and regulations is what separates us from others. On any particular day, we have teams working in different conditions from -40 degrees centigrade to +40 degrees. The construction part in our business is simple; anybody with adequate knowledge can do it. What separates KEC from others is our capability in design located in Delhi and Mumbai. But even in construction, we can claim that we have done contracting of each and every kind. We do the tower erections manually, by crane, by helicopter or by gin poles. We have the abilities to do it by various techniques, whereas many others may not have that experience. ML: The government has permitted private players to invest in power transmission either through a JV with Power Grid Corporation or via an independent private transmission company (IPTC) based on competitive bidding. What are your plans? Chandak: We have gone for the bidding whenever there was opportunity for private bids. So far we have not been successful. Till date there were only two orders under the new initiative from the government and both had gone to Reliance, so except Reliance no other company was successful in the bidding, you can say. But there are new three-four bids coming up and we are in the race. Even if some other company wins the bid, we can still ask for the construction part. After all we are an EPC contractor primarily. We are not an asset ownership company. That’s a different mindset. I would still say that our mindset is more of EPC contractor than of an asset owner. ML: What is the current capacity of KEC in tower manufacturing? Chandak: At present, our tower manufacturing capacity is about 200,000 plus metric tonnes (MT) per year, including our own and jobs contracted outside. Our own capacity is 150,000 MT and about 60,000 MT is outsourced. It is sufficient for our own needs but if tomorrow some other company wants to contract with us, then we can always increase our capacity. The critical part in manufacturing is the project design and procurement of materials. We have a very good relationship with vendors and we can always depend on them. ML: What about your tower testing business, what is the capacity of it and is it limited to the domestic market? Chandak: We have three tower testing stations which are the largest in the world. We are building one at Nagpur in Maharashtra which will be ready by October end. This also will be the largest tower testing station known to us and we will be able to test a 1200Kv tower easily. The scope for tower testing in not limited to the domestic market. But since our own volume is so huge, we have to use this facility for ourselves. We have been testing towers for other customers, mostly from overseas like Turkey, Egypt and other countries, as well. ML: In the domestic markets, generally the contracts are in linked to costs but but the international orders are often fixed-price based. Considering international business contributes about 65% to your revenues, what are the challenges in managing costs? Chandak: As far as aluminium and zinc are concerned we can cover it in the London Metal Exchange (LME) in one day. Being an EPC contractor, we can also cover other cost items like insulators, conductors, and aircraft warning lights. What is not coverable is steel which consists less than 10% of our whole business. In the steel market there is no liquidity. So, half of the steel requirement gets covered through advanced contracting. The remaining 5% to 6% of the sales is open for risk. Every open risk is a challenge. But it is not that big a challenge which really matters. For this we have to estimate the price rise that can take place and we have to provide that at the time of bidding. So far we have been successful in anticipating the price rise. Over the last 8-9 years you would not have seen any negative impact of this risk on our business and our results have reflected the same. ML: Since you mentioned geographies, how much do your domestic and international businesses contribute to KEC’s total revenues and profits? Chandak: The revenue contribution from the international business is 60%. For profits, there is not much difference between these markets. Profitability is the same. ML: KEC has been winning orders across geographies. What is the formula? Chandak: We have been working in all these countries and have developed good contacts there. We have a mechanism by which we keep a tab on a regular basis and more where we are not present. Also we have the knack of spotting the business at least a year ahead, and we are prepared to take the business as and when it comes. Without this “basic instinct”, you can’t enter into so many new countries. ML: What about opportunities in the US? Chandak: In the US, there is not much business. US is mainly supply business and not EPC contracting business. Supply business is an opportunistic business that you get an order and you have the capacity available and you can source it and supply it. But KEC would like to take pride in EPC contracting and not supply business. ML: Competition in both domestic and international markets has increased as there are fewer jobs and many players to bid. How you plan to tackle the competition? Chandak: Competition is a part of life. It sharpens you. Once competition comes, consolidation happens, leading to lower competition. We have been in this for more than 50 years now, so we have seen enough competition. ML: With the entry of new players like Sujana Towers, ATSL and Emco, do you think the operating margins for the industry would remain flat and there would not be any material expansion from the current levels? Chandak: Firstly the business is expanding. There is scope for everybody. You mentioned two companies, another four can come. In the end, each company has its own strategies to counter the competition. ML: But would it affect the operating margins? Chandak: Operating margins have to be reasonable, in any case. If for any reason margins are very high and there is no competition, it would be a bad scenario for the country and for the industry as well resulting in a lot of lethargy and incompetence. We feel that there should be competition. We are more experienced in the industry; probably our cost can be lower than anybody in the industry. Probably our project management is better than others. So, despite the competition we will get our share. ML: Typically, transmission EPC companies have high working capital requirements, about 125 to 135 days. How does KEC manage receivables? Chandak: Being in the EPC business, only 10% is advanced on the entire contract value, whereas the contract has to be completed over 18-24 months. So the cycle can be even longer. We are plouging all our profits back into the business. Over the years our borrowing as a percentage of sales and our interest costs as a percentage of sales for the last 10 years, have been coming down. Our internal accruals are more than enough and the borrowing has not gone up in the past so many years. So when we think for a 20%-25% growth year-on-year, we do not need any outside financing. In the last six-seven years we have not even gone to the capital markets. This itself is an indication that I am not tight on finance. I do not believe in the idea that money is available so just take it. ML: There are rumours about KEC winning some contracts from BSNL. What kind of growth, revenues you expect from telecom infrastructure segment, say over a period of next 12 months? Chandak: BSNL contract is still not finalised. It will take its own time. As of today, telecom is just about 5% of our total business. We hope to grow this business. There is a scope for it. We will see how it goes. Over the next 12 months I don't see major changes in our telecom segment. Even if this order from BSNL comes today, by the time you execute it would take a few more months. So I don't think there will be a major change over next 12 months. The changes will occur in 2010-11. 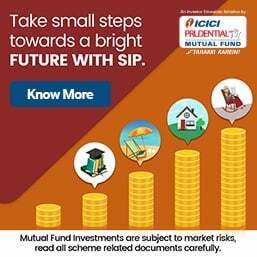 ML: What are your plans for the railway infrastructure segment? Chandak: We have just started. We believe that there is a scope. The business has not yet come; the government is talking about that. Government is talking about the increase the investment in railways. We are trying to be prepared for that, so that we do not miss the boat. ML: Any specific growth target for this segment? Chandak: We are all waiting. We know it is the need of the country, the need of the hour. We know it's critical for the whole industrial growth. But we have to wait till the business comes. ML: In terms of revenues and profits as well as scope of the opportunities, where you see KEC, over the next three to five years? Thanks to the fight between the Ambani brothers, NELP VIII has suffered a major setback with only 76 bids received for 36 blocks. There were no bids for 34 gas blocks offered under NELP VIII. This is a major setback after the huge success of Reliance and Cairn India which discovered major oil and gas fields in the Krishna Godavari Basin and Jaisalmer, respectively. The government has been expecting huge response as 100% foreign direct investment (FDI) is allowed in oil exploration. The government has blamed the lack of interest on the row between the Ambani brothers from the Reliance group. Anil Ambani has claimed that Mukesh Ambani should give him 28 million cubic metres of gas per day at a price of $2.4 per MMBTU. This price is 44% lower than the government price settlement of $ 4.2 per MMBTU. Another setback was when Reliance Industries returned 14 blocks to the government as it could not discover any gas in these fields. RIL has also mentioned that the company has spent Rs1,400 crore in exploration for 14 blocks. Reliance Industries says that this money cannot be recovered from the government as it is the exploration risk cost. There was a weak response from foreign companies as well. The Government of India may soon go for fresh round of road shows for the remaining blocks. NELP VIII has covered 24 deepwater blocks, 28 shallow water blocks, eight online blocks and 10 type S blocks spread over 1,63,535 sq km in Assam, Jharkhand, Orissa, Madhya Pradesh, Chhattisgarh, Maharashtra and Tamil Nadu. Earlier the government had planned 100 blocks but it reduced it to 70 blocks. It was estimated that around $10 billion investment would pour into NELP VIII. In earlier NELP rounds, 68 oil and gas discoveries were made in 19 blocks which will bring in 600 million tonnes of oil and oil-equivalent gas. The Government has planned that around 80% area under exploration will be covered by the XIth Five Year Plan.